Our restaurant in Palma is always innovating and renovating itself. Cocktails are a big part of our establishment located next to the Plaza de la Reina. That is why, we want to present our new cocktail menu at our restaurant in Palma. A delicious and refreshing offering which is divided in to four cocktail categories which we will be uncovering in this article. Will you stay and discover the new cocktail menu at our restaurant in Palma? We didn’t want to miss the opportunity to travel the world through its flavours. It is for this reason that our first big section of cocktails is based on the traditional expressions from various places of the planet and its flavours. 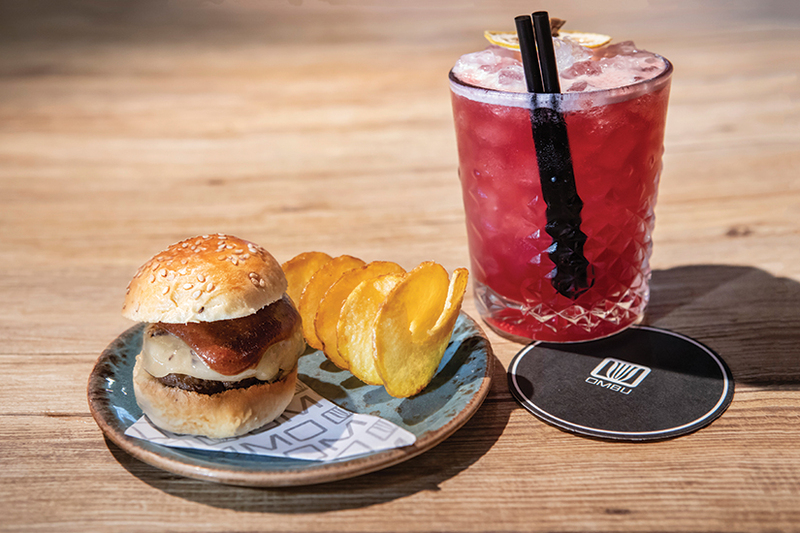 The first one had to be the Uep!, the unmistakable Mallorcan expression which holds all of the flavour of the island in one drink: Mallorcan wine, red Mallorcan vermouth, Amazona rum, thyme syrup, red fruits and lemon. The following cocktail is the Ikigai, which means “the reason to live” or “the reason to be” in Japanese and has the best of the Japanese Island: sake, vodka infused with galangal, Umeshu liquor, kumquat shrub, Yuzu and lemon. We continue discovering world expressions in Peru with its Guarique: Pisco brandy infused with cacao, Maca syrup, lemon and egg white; and from Mexico, it’s the No Mames: tequila, cucumber shrub, coriander, lime, concentrated paprika. From Mexico we travel to Italy with the Bella Li, created with vodka, Amaro Averna liquor, Italicus liquor, tomato water and balsamic vinegar. Lastly, we find the Sanuk, originating in India, with vodka, coconut milk, lime, curry syrup and lemongrass; and the Demais!, a cocktail which has its very own exclusive blog article about it where you will find all of its secrets. If our first set of cocktails has surprised you, don’t miss this fusion between cities. Opposites attract. Like in the Tokyo-Lima: Pisco brandy, Sake, mandarin liquor, mandarin vinegar, lime, sugar, egg white…Peru and Japan know how to find that middle ground. By the end of this list of cities and gastronomic explosions, you will find the perfect partners amongst Jalisco and Jerez; Palma de Mallorca and Barcelona, Ethiopia and Milan; Barcelona and London, Santiago de Compostela and New Dehli and, lastly, Berlin and Rio de Janeiro. Our restaurant in Palma has travelled to the furthest corners and has made the impossible, possible. The intensity of every city which these cocktails hold is a true experience to discover. We don’t believe that only those who drink alcohol can enjoy a cocktail. In fact, those who don’t drink alcohol shouldn’t leave without trying this experience. That is why at our restaurant in Palma a section of our menu offers only alcohol free cocktails. We have the Fresh Back, created with raspberry, orange, lime, mint and ginger ale, or the Mellow Fruit, with a passion fruit base, orange, vanilla syrup, lime cordial and egg white. We continue with the Amparito, which has cumquat shrub, blueberries, lime, ginger sugar, bitter kas and we end this magnificent and creative menu with the Greengrocer Mojito, with a lime base, grapefruit, basil, rosemary and ginger ale. You can’t leave without trying this experience. 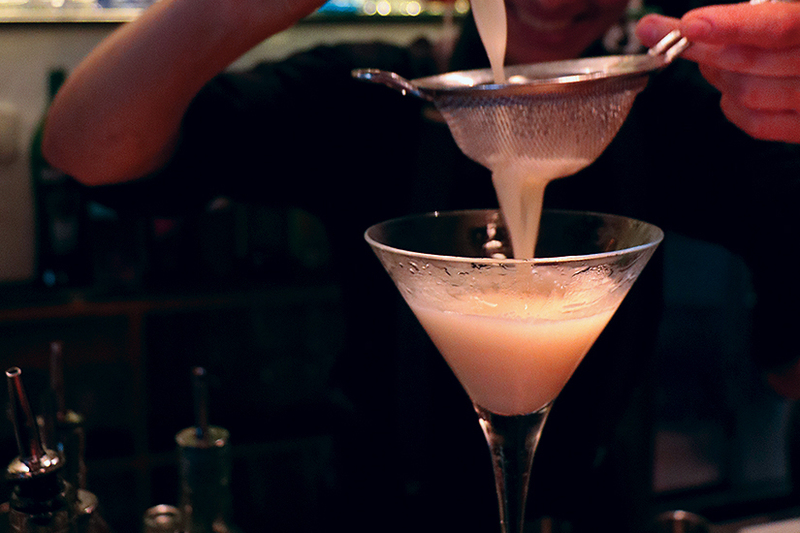 Even if you feel less daring and want a more classic cocktail, our expert team can offer you the best on the island. Reserve your table at our restaurant in Palma and delve into every corner of the world through its flavours.